Like most 77 year olds, Dorothy Turner from Shrewsbury retired some while ago. However she soon decided retirement was not for her and restarted her career by becoming the latest caregiver at Home Instead Senior Care in Telford and Wrekin, providing at-home care for older people in the area. As an entrepreneur and savvy business woman who ran several family companies with her husband during her working life, Dot retired from work when her husband fell ill. When he sadly passed away years later, she decided that she wanted to find a job that would be suitable for her at the age of 77. Dot has a great deal of experience in the caring profession having provided care for family members with learning disabilities and having helping her daughter to run a residential care home. Therefore, when she heard about the position of caregiver with Home Instead, she was excited to find out more and thrilled to learn that this job suited her perfectly. 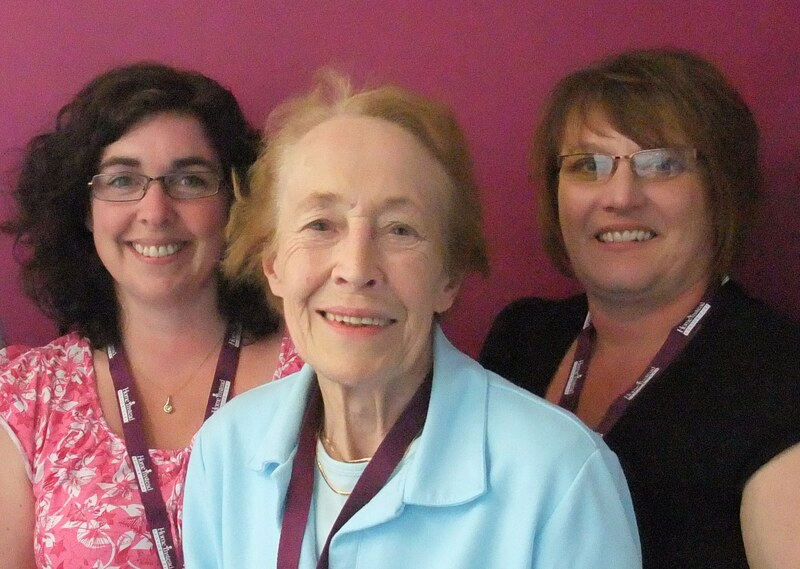 Photo caption: Dorothy Turner (central) with two other new Home Instead recruits Jenny Grey and Helen Cotteril.